Singing itself is actually a very simple process or pressure, vibration and resonance – but learning HOW to become better at singing can often be a confusing and frustrating process. 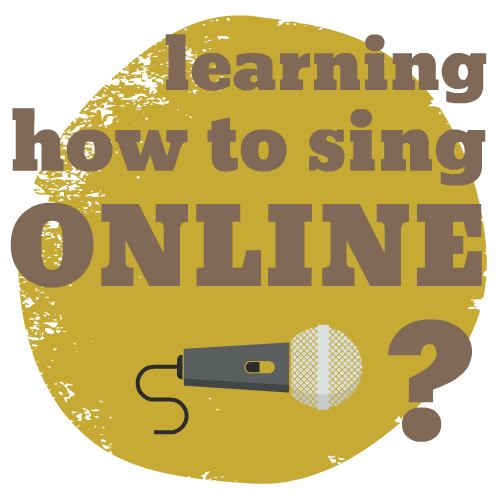 The reason that learning how to become a better singer is difficult for so many singers is due to the inefficient learning curve faced in many contemporary singing methods. Let’s look at the standard learning curve for many singers. Stage one is often the most exciting stage of learning how to sing, and with the basics alone – things like Breathing and Resonance, you see a little bit of progress which is very inspiring. Unfortunately this often leads to a rut in Stage 2, where every step forward feels like two steps backwards. Sadly, this is where many singers remain after they’ve bought a singing course or taken a few singing lessons. Finally, there is stage 3, which let’s face it, is often reserved for those who were naturally gifted singers in the first place. As you can see, this really isn’t an efficient learning curve and isn’t a very effective way to learn how to become a better singer. Fortunately, there’s light at the end of the tunnel if you want to become a better singer! 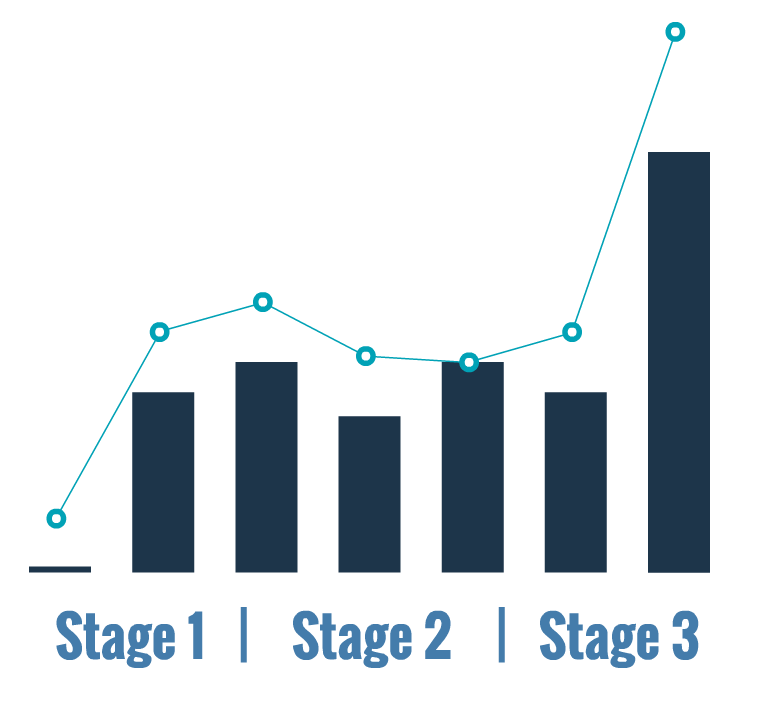 By replacing the Stage 1, Stage 2 and Stage 3 approach to singing with Foundation, Growth and Balance instead, you’ll see that the learning curve becomes much more proportional between the time and effort you invest in your voice – and the ongoing progress you see in your singing. The Foundation Stage of singing requires you to build a relationship with each individual aspect of the vocal mechanism, from vocal onsets to vowels, connecting chest and head voice to Mix Voice, resonance, range, tone and more. By developing each element of the voice separately in this manner, you will set your voice up with an absolutely rock solid foundation that will then help you Grow and Balance your voice – allowing you to become a better singer with a proven and ongoing process. The Growth stage of singing replaces the common Stage 2 rut and sets you up for ongoing and incremental progress each time you practice singing. The Growth stage in singing requires you to develop strength, build range, improve tone and ultimately “grow” each aspect of your voice from vocal range to vocal tone. The Balance Stage of singing replaces the elusive third stage of singing where you can sing with an extensive range, an impressive tone and with endless power – letting you sing any song you’ve ever dreamed of. 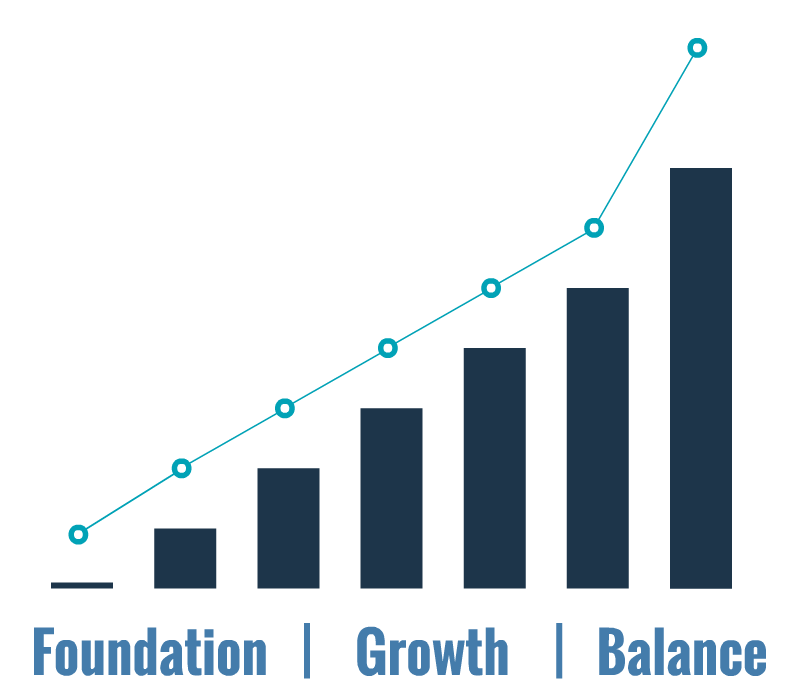 The Foundation, Growth and Balance approach has been designed specifically from the perspective of a singer who was frustrated with the lack of ongoing progress faced in the standard learning curve and the desire for something more practical and tangible. The best place to start is this Exclusive Mix Voice lesson, which will show you how to connect Chest and Head Voice while introducing the Foundation, Growth and Balance approach to singing designed by Kegan at Bohemian Vocal Studio. The beginning stage of the Foundation, Growth and Balance approach to singing is the Foundation 101 singing course here at BVS, which will show you how to develop a relationship with every important element of the voice from onsets through to vowels and resonance. The Foundation 101 singing course has been designed with over 20 years singing experience and 10 years of professional coaching under my belt. By setting up a rock solid Foundation for your voice, you will ensure ongoing and tangible progress in your singing by growing and balancing each aspect of the voice together in the final stages of the powerful Bohemian Vocal Studio learning curve. If you have any questions about learning how to become a better singer, feel free to leave any feedback or questions below!